Like many other psychological scientists, Mary Czerwinski measures people’s emotions. But unlike her professional peers, she uses sensors embedded in wire butterfly wings to do so. 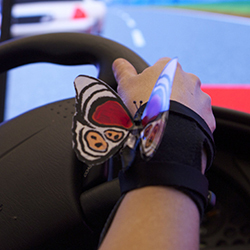 Currently a research manager at Microsoft’s Visualization and Interaction (VIBE) Research Group, Czerwinski works on “everything related to the future of interacting with computers.” The wire butterfly wings, for example, are part of a bracelet-like device that gauges moods using wearable sensors. The device “flaps” the wings at different speeds according to the response — one of VIBE’s early efforts to create wearable technology that monitors stress levels and intervenes on the wearer’s behalf in some way. 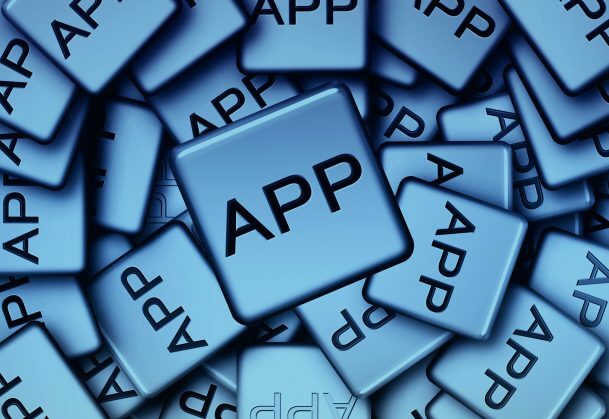 One such intervention is an app Czerwinski and her team developed for Windows smartphones. (It is not publicly available yet.) When users are stressed, they can activate the app, which prompts them to enter their stress level, and then offers them a microintervention (dubbed “activity”) to help alleviate their anxiety. The activities are sorted into different categories corresponding to types of therapy — positive psychology, cognitive behavioral, metacognitive, or somatic — and include suggestions such as, “Everyone has something they do really well… find an example on your [Facebook] timeline that showcases one of your strengths.” At the end, the user again registers stress level to record the intervention’s effectiveness. 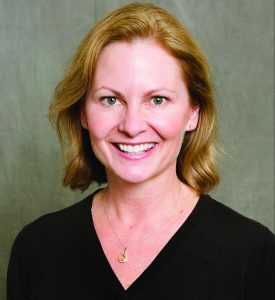 Czerwinski and her colleagues drew considerable media attention recently with the development of a prototype bra designed to warn women when they could possibly overeat because of stress. The bra includes special sensors that capture heart rate and respiration, skin conductance, electrodermal activity, and movement. It then alerts the wearer about her behavior by streaming the data to a smartphone app. Czerwinski introduced the garment in a research paper presented last year at a conference put on by the Society for Affective Computing. Low battery life remains one of the technology’s biggest obstacles, she said. Czerwinski says she was the first psychologist hired at Microsoft Research, though the company has since recruited many more. She believes her training as a psychological scientist helps her as a manager. “I once read that PhDs make the best leaders in industry, because they are trained to be extremely focused and analytic, and they can do very concentrated deep dives,” she notes, saying she makes an effort to hire more PhDs at Microsoft. “It’s certainly valuable to have someone who can look at problems from a very deep and unique angle and really focus on it, and that’s what you get trained to do in graduate school. From the start, Czerwinski feels her background helped distinguish her from others in her field. Training in psychological science gave her an edge, she adds, when she faced complex questions that may have stumped others. “[In psychology] we get trained to do studies using particular kinds of paradigms,” she says. “So I would throw a paradigm at a novel situation; it would work, so I could get an answer to a very hard problem. Because no one else around me had been trained in psychology, they didn’t know what paradigm to use. Fascinating article! I wonder how many potentially amazing applications studies like this could do to find a control for analyzing emotional intensity!